A quilt top can be made up of a single, whole piece (known as a wholecloth quilt), or alternatively made up from smaller patches joined together, hence the name patchwork quilt. Some patchwork quilts are made up with a central medallion surrounded by borders or blocks, and some made up of a pattern of quilt blocks either sewn directly together or with sashings (strips of material) in between. A quilt block is a design, usually square, that is repeated throughout the quilt - there are many, many designs for quilt blocks, see our quilt block guide for more information. Also known as batting, the quilt wadding is the filling between the quilt top and backing that gives the quilt its loft and warmth. Available in cotton, cotton/polyester blends, polyester, wool and several new eco friendly types such as bamboo, there is a wealth of wadding brands out there to choose from - the different materials are detailed below. The other thing to watch out for with wadding is whether it is needlepunched (where the fibres are mechanically felted together by being punched with many needles) or bonded (where the fibres are chemically bonded). Needle punched waddings are firmer and denser than bonded wadding, so can be more difficult to hand quilt, however if you want completely natural materials then the chemicals in bonded wadding are best avoided. 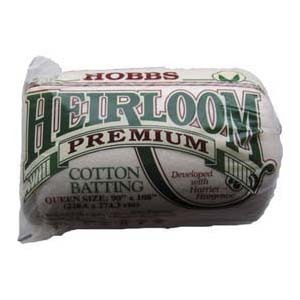 Cotton - Cotton wadding is soft and washable, and its clingy qualities make it great for machine quilting as it helps prevent the fabrics moving during quilting. Cotton can shrink quite a lot on first washing, which is ideal for the antique puckered look, but for a smooth look it is essential to pre-shrink the wadding. Cotton wadding will soften with age, and is breathable and drapes well. Cotton/polyester blend - Cotton/polyester blend wadding is loftier than 100% cotton wadding and more breathable than 100% polyester. It also shrinks less than all cotton batting, and can be more affordable. For a good combination of the easy handling of polyester and the natural breathability of cotton, a good cotton/polyester blend is ideal. Polyester - Polyester wadding is soft, light and has high loft, and is probably the easiest wadding to use for hand quilting, but it can be hard to handle when machine quilting so a thinner wadding is best for this. Polyester wadding has very low shrinkage, so is ideal for quilts that will be washed often, it can also be tumble dried. Cheaper polyester wadding do have a greater tendency to 'beard', where the fibres work their way through the cotton quilt top and backing. Wool - wool wadding is very warm and has high loft, and is light to handle. Wool wadding is great for hand quilting and also suitable for machine quilting. It has low shrinkage so can be washed although it should never be tumble dried. Wool wadding is great at regulating body temperature, and can absorb a lot of moisture without feeling damp so it is ideal in lower temperatures. Wool is also naturally flame retardant making it ideal for quilts for infants. Silk - Silk wadding is a naturally lightweight and warm wadding, often used for quilted garments due to its excellent drapability. Silk wadding has high shrinkage and needs careful washing. Bamboo - Bamboo wadding is probably the most common of the new wave of eco friendly waddings, being made from the fast growing bamboo plant grown with no fertilizers or pesticides. It is needlepunched, and has low shrinkage and similar breathability and coolness to cotton wadding. The quilt backing is the bottom layer of the quilt sandwich, usually a single piece of fabric the entire width and length of the quilt. For larger quilts, extra wide quilt fabric is available. The quilt backing can be as plain or detailed as required, and it is possible although difficult to produce a double sided quilt where the backing is just as decorative as the quilt top, including patchwork design. A plain backing will show up the quilting designs used, so this can be a good way to make it more decorative, and patterned backing fabrics can help hide any mistakes in the quilting! The most common way to finish the edges of a quilt is to use a binding strip, either cut straight or on the bias. Bias binding is most useful for curved edges as woven fabric has the most amount of stretch on the bias, however cutting fabric on the bias can leave you with a lot of waste, and it is not really necessary for straight edge quilts.